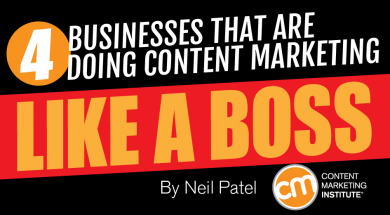 Some businesses are just flat-out good when it comes to content marketing. These are the businesses that basically define what content marketing is, how it looks, and how people respond. What makes these businesses so awesome? You may be in a niche that is tiny, unsexy, and downright boring. You may have zero in-house talent and no budget. 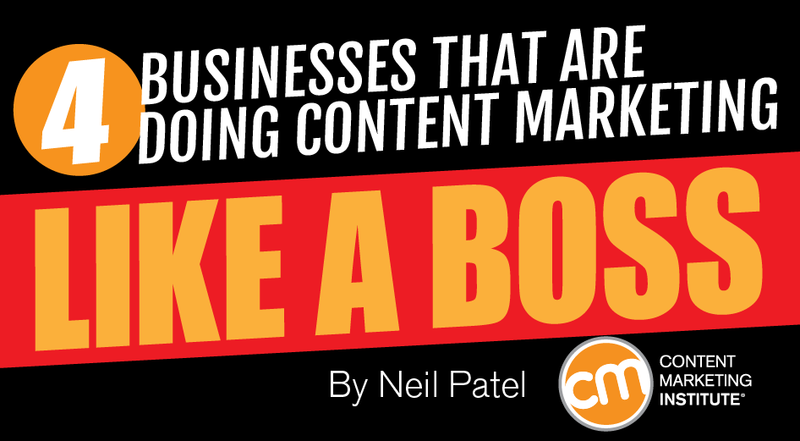 So, the question is, can you still do content marketing like a boss? The answer is yes. I’m going to give you a takeaway from each of these four organizations. To even the playing field, I’ve selected small, big, B2C, and B2B businesses. You’ll find something that fits your approach and some serious insight that will take your content marketing to the next level. Most of us have watched a TED Talk, probably on YouTube or shared on social media. 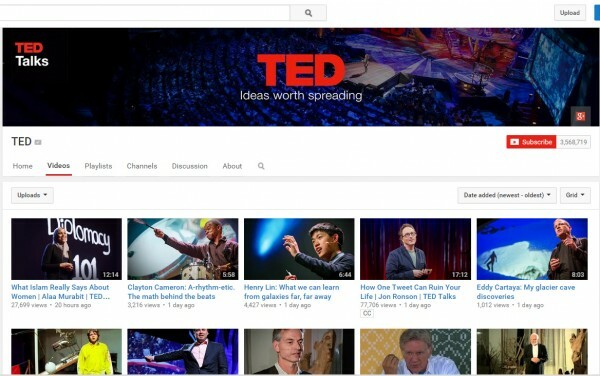 TED has more than 3.5 million subscribers on its general YouTube channel, 2.5 million on TEDx, 1.2 million on TED-Ed, 130,000 on TEDxYouth, and 50,000-plus on TED Fellows talks. Many of the TED Talks have become viral sensations, racking up millions of page views. The content may not be quite as entertaining as the video for Gangnam Style, but it is far more inspirational and educational. How did TED become such a powerful source of content marketing, especially when its videos are nothing more than people talking? Takeaway: Your ideas should be worth spreading. TED’s mission says it all. It is an organization that is devoted to one thing – ideas. Good ideas. Powerful ideas. World-changing ideas. Forward-thinking ideas. People are smarter than we think. People want to be inspired, challenged, and changed by good content. Whatever service or product you’re selling, say something worth saying, and say it well. Your content marketing ideas should be worthwhile. I told you I would bring a small business into the mix, but calling AudienceBloom “small” isn’t all that accurate. Even though the Seattle-based content and social media marketing firm has a small and agile team, it does amazing things. You don’t offer a lame service, and get mentions in Entrepreneur, The Wall Street Journal, Huffington Post, Yahoo!, Mashable, Wired, Inc., and Fox, like AudienceBloom has. Many of the world’s biggest and most recognized brands are powered by its strategy and consulting work. 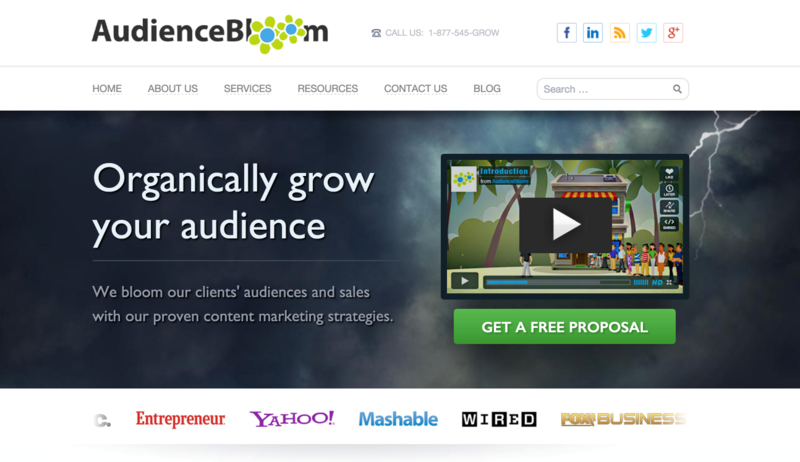 AudienceBloom has scored a mark in the SEO and content world because it knows what content marketing is all about. Its blog publishes cutting-edge information in the digital marketing world. It offers a free online marketing resource, and its founder, Jayson DeMers, spreads his ideas far and wide in world-recognized publications. Takeaway: Know your niche and talk about it. AudienceBloom is a great example of a company that understands its field, and can talk intelligently about it. DeMers is a marketing whiz, with a knack for putting things into unforgettable words. He talks about the industry, not to promote his brand but to educate people about the niche. All that “talking” is also known as “content marketing,” and it’s gotten AudienceBloom into a remarkable position. GoPro turned digital cameras into hero-making machines. Just when we thought that digital cameras were ho-hum-yeah-so-what, GoPro unleashed a totally new spin. Here was a camera that you could take with you when you skydive, spelunk, bike, climb, crawl, camp, soar, fly, fish, fall, work, explore, drive, jump, dive, surf, swim, ski, and snowboard. Oh, and you can even put a GoPro on your dog … or a lion. Right now, GoPro’s content is viral, and most of it is user-generated. GoPro takes its viewers into places that most could never dream of going themselves, providing rare glimpses into activities that they would never dare to do. Basically, GoPro turns its users into heroes. Its motto is “This is your life. Be a hero.” The camera is called “Hero.” Its users look good doing whatever it is they do. And viewers – they get to sit back and enjoy the content – amazing, head-turning content. Takeaway: Be visual and be radical. GoPro is powered by visual content. This goes beyond the “post-more-pictures-on-Twitter” idea. GoPro understands that we are visual creatures who crave visual stimulation. So, it serves it up in radical ways. You don’t have to be a camera manufacturer to enjoy this kind of benefit. Infographics can accomplish much the same thing. IBM’s approach to content marketing is so fragmented that I don’t even know how, where, or why it publishes content everywhere it does. Still, whenever I see one of its studies, read its research, or hear its news, I pay attention. 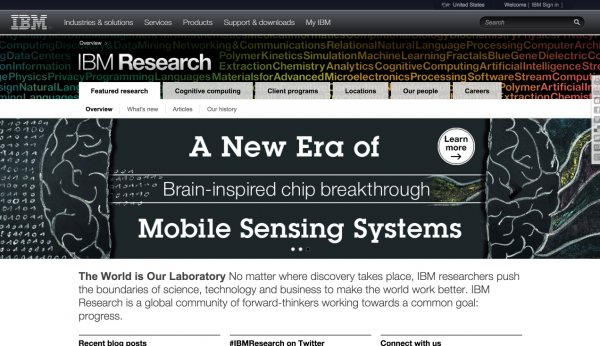 That’s because IBM knows the topics important to the industries in which it participates. But IBM goes a step beyond – it creates content hybrids that accomplish the same purpose but do so with more appeal. 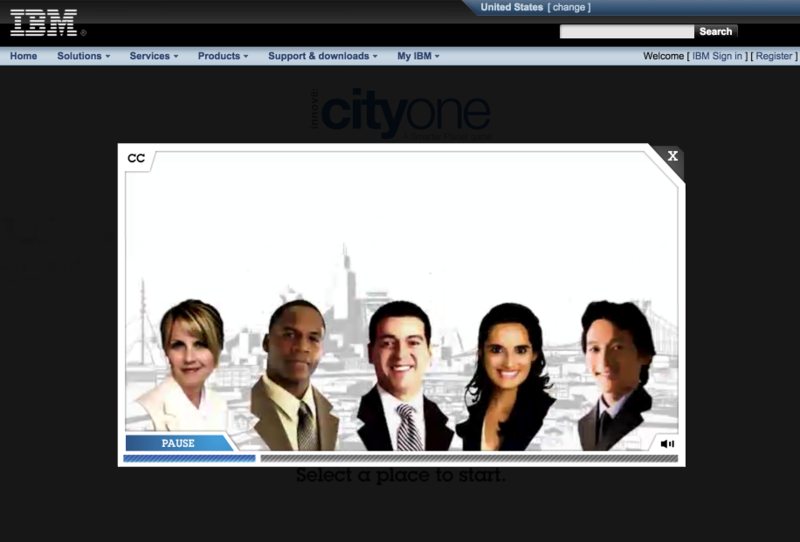 For example, IBM’s CityOne Game educates users on solving business, environmental, and logistical problems. It’s a game, but it’s highly educational. What’s more, it’s addictively fun. Takeaway: Publish what’s interesting in an interesting way. IBM’s approach isn’t as streamlined as I would prefer, but it is undeniably powerful. With its mix of educational, informative, and gamified content, it is dominating the content marketing game like few others have been able to do. Sure, IBM has deep pockets, but that shouldn’t keep you from following its example. Good ideas, interesting ideas, and innovative approaches don’t cost a dime. You don’t have to be the size of IBM to develop gamified content. And you don’t have to sell cameras to serve visual content. Great content isn’t necessarily tied to your product/service, or budget. It has everything to do with your approach. In light of these businesses’ successes, where does your content marketing need to change? Want more examples of stellar content marketing, from brands both large and small? Check out 75 Examples to Spark Your Content Marketing Creativity.